This one does not live up to its reputation. For one thing, it’s poorly recorded. But that aside, I think the biggest problem is that Braxton just isn’t able to pull off many of his ideas. The big ideas are here, and they are big indeed. But geez, this sounds like a Phish concert some of the time, with kind of wanky solos that trample the underlying concepts beyond the point of being interesting anymore. 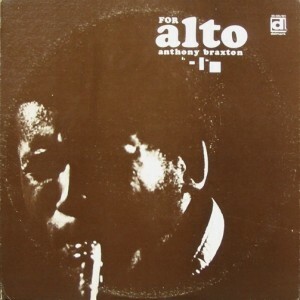 Braxton’s angular style was never particularly tactful, but I think he quickly picked up enough tact to get to a higher plane following these recordings. In other words, there is a self-indulgent quality to this that holds it back — always his Achilles heel. Later Braxton recordings are better. Though I suppose this does deserve credit for helping to create a space for recordings as uncompromising as this, with an entire album of abstract, screeching saxophone solos.